It sometimes feels like I don’t get out much – either socially or out of the county (Not that it’s a hardship to be in Cornwall!). So, I could barely contain my excitement at having the opportunity to attend the Porcupine Marine Natural History Society Conference in Plymouth. I packed my passport and set forth across the Tamar. Not only did I mingle with the most amazing bunch of fellow marine wildlife obsessives and hear their latest findings, but the third day of the conference was spent rockpooling at Wembury in South Devon. This week I’m planning rockpooling events for next year and adding identification pages to my website…. Yesterday it was so foggy you couldn’t see the sea in front of your wellies. Before that it was raining; before that it was blowing a gale and on the one day the sun came out I was nowhere near the beach. 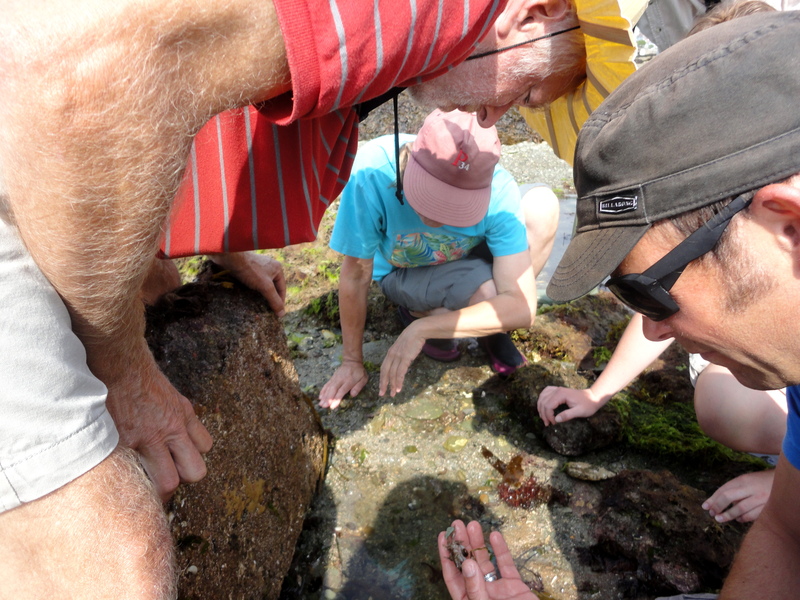 It’s not bad for eggcase hunts – which Cornish Rock Pools junior loves – but that’s about it. This time of year, when the short days and inclement weather make even die-hard rockpoolers like me reach for the duvet, I turn to flicking through the 2017 tide table and dreaming of sunny days and gleaming expanses of shore. It’s always exciting when you find something new, something different, but did you know how easy it is to record your finds? Sending in your sightings can help conserve our fantastic wildlife. After the recent huge spring tides, I had a long list of species spotted at various beaches, and I was dreading writing everything up. It was time to try out the new Online Recording for Kernow and Isles of Scilly (ORKS) website.